If you like cruising, Croatia and it’s wonderful archipelago is a must. A spectacular archipelago with ample of culture, history and beauty. The Croatian coast, including islands, cliffs and reefs, is 5.835 km long. There are 1.185 island, islets and reefs in the Adriatic Sea, so it is not strange that it is known as a land of “Thousand Islands”. Each of the islands has its own particular story and place in history. Croatia covers an area of great diversity and it is a place of rare beauty. What makes Croatian people proud is the untouchable nature protected in numerous nature reserves and eight national parks (Islands Brijuni, Kornati and Mljet, River Krka, Plitvice Lakes, Paklenica canyon, Risnjak wooded mountain massive and north part of the mountain massive Velebit). For 7 days and 7 nights, party and experience the famous floating festival in Croatia aboard one of our motor yachts. Choose the best Croatia yacht charter itinerary for a sailing experience unlike any other. You’re guaranteed to keep coming back for more and join the annual event. Live life to the fullest when you book our sailing yachts for a Croatia cruise. From sunup to sundown, sail through serene seas, explore hidden coves you’ll find along the way, and party hard where the party is. 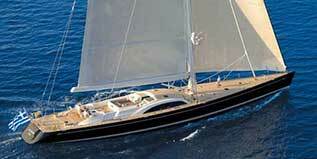 With our yachts available for worldwide charters, sail Croatia & beyond. Croatia yacht charter is best and most pleasurably done aboard sailing catamarans that offer plenty of room for a big party. Whether small or big, our catamarans will cater to your needs and cravings for a sailing adventure on your next holiday with family, friends, and colleagues. Enjoy a comfortable Croatia cruise aboard a power catamaran. Sail through serene waters. Explore what this part of the world has to offer on land and on the waters. Power through the Croatian Adriatic Coastline and treat yourself to the beauty and wonder of the land of “Thousand Islands”. Located in the center of the Croatian Adriatic Coastline the city of Šibenik sits sheltered in the bay where the river Krka enter the sea. The picturesque welcoming city is a place to visit for your yacht charter cruise. Šibenik is today is the administrative, political, economic, social and cultural centre of the County of Šibenik and Knin which extends along the 100 kilometre long coastline between the Zadar and Split Rivieras, extending up to 45 kilometres into the hinterland area, at the bottom of Dinara mountain. The area has 242 islands, islets and above-sea reefs. Most of these are in the north-western part of Šibenik’s waters and are bare and sparsely inhabited. The most numerous group of islands are the Kornati, widely known for their bizarre shapes and splendid natural beauty. The Kornati archipelago consists of 140 uninhabited islands, islets and reefs of which 89 is part of the Kornati National Park. Often called a nautical paradise the islands have an impressive contrast between bare, almost desert like land and a rich underwater fauna. The Kornati National Park is one of the Croatia’s eight national parks. It includes the islands of Donji Kornati (Lower Kornati), the other half of the Kornati Archipelago. The other half is the Gornji Kornati (Upper Kornati) group of islands. Whether it’s the Kornati National Park you want to see and/or the rest of the archipelago, the best way to get there is via a sailing charter in Croatia. Many organized sailing boat tours include a trip around the Kornati islands, with a stopover at the Telašćica nature park on Dugi Otok island, if you so desire. The high season, between July and August, can get crowded and busy. So you might want to book a Croatian yacht charter well in advance. It doesn’t matter if you book a boat for 10 or 200 people, making a reservation early on will work to your advantage. During these months, boats sail to the Kornati islands everyday, usually around 9 in the morning and return to port around 6 in the evening. If you’re sailing from Zadar or Šibenik, boat ride will take anywhere from 3 to 4 hours. Except for the zones of strict protection, you can practically sail anywhere around the national park in Kornati. Just remember to steer clear of the areas around Purara islet, Volić, and Klint reefs, the Kolobučar islet, the Small Obručan and Great Obručan islets, and the Mrtenjak islet. Mooring, on the other hand, is only allowed at designated bays, including Stiniva, Lučica, Strižnja, Ravni Žakan, and Koromašna. Mooring buoys may be available in these bays. You also have the option to moor at ACI Marina Piškera, a marina located in the narrow channel between Piškera and Panitula islands, or at ACI Marina Žut, a marina on Žut Island’s NE coast. Another option is on Dugi Otok at the port of Sali. Inland following the waterways northeast of Sibenik you find The Krka National Park. It has an area of outstanding natural beauty boasts countless inter-connected lakes and waterfalls with the opportunity of short boat tours or walks around the many bridges and footpaths. The Franciscan monastery of Visovac located in the middle of one of the lakes makes a picturesque visit. Like most Croatian National Parks, getting to Krka National Park to take a dip in its waterfalls and enjoy the view of its lush vegetation involves hiring a sailing boat or booking a sailing yacht or a catamaran charter in Croatia. Getting there is definitely a sailing adventure in itself. What makes this national park different is that it is located slightly further from the coast. This effectively extends your experience of yachting in Croatia. From Šibenik, the park is 10km away and stretches along the Krka River. With several waterfalls on offer, including a collection of 17 waterfalls that is the Skradinski buk, sailing to Krka National Park is definitely worth the trip. 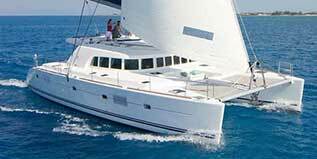 While there are organized boat tours available, a sailing charter remains the best option. Choose the right yacht size and you can easily cruise through different waterways and get as close to the natural wonders as possible. 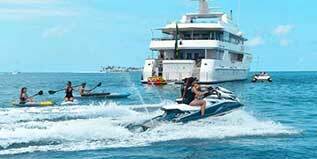 Since yacht charters are customized to your preferences, you can stop and wander through the nearby town. Sailing charters can start at Skradin, a small nearby town. But if you’re sailing from another destination to Skradin, you will have the opportunity to pass by and enjoy the beauty of the Šibenik Bay. Since the old bridge of the Krka River is low, navigating up the challenging route of the River Krka would mean switching your yacht for a small boat. It’s also the vessel of choice if you want to enjoy the different scenery that the freshwater lake of Prokljan has to offer. Since yachts can’t go beyond the bridge, they have to moor at the ACI Marina Skradin. This Croatian Marina accommodates a total of 180 vessels, provided that they are longer than 70m and has a maximal draft and maximal air draft of 7m and 30m, respectively. Trogir is a city that usually is visited “casually” and the main impression after a first visit is: How is possible that a place of similar beauty isn’t on the top of promotion of Croatia as well as Dubrovnik? Trogir is a wonderful old city surrounded by the sea, with stone covered streets and buildings with characteristic white color are unique and unforgettable. Old Trogir is an UNESCO heritage from 1997. It is situated on island between the coast and island Ciovo (connected with a bridge). The major part of old town is protected by the walls and on the southern part there is a beautiful shore with palms. Except of Cathedral and fascinating portal of Master Radovan, it is possible to see a lot of historical buildings as Kamerlengo and St. Marco castle, North and South City Door, St. Nicholas tower, Cipiko palace, many churches and monasteries. After important historical monuments there are a countless quantity of anonymous old house with old family’s stems above the doors, fascinate architectonic details lost in some corner or court with old stone well. The main city square with Cathedral is particularly charming, but it is also an unique feeling to take a walk on a sunshine shore (riva) or get lose yourself inside of narrow streets of old town. Island Ciovo in some sense is a “Trogir’s beach” where the Trogir’s medieval nobles used to build the villas. Hvar lies south of Brač and is the longest island in the Adriatic. It has a mild climate and abundant subtropical vegetation you will find vineyards, olive groves and lavender in multitude. The city of Hvar is located on the west coast of the island and is the island’s hub and busiest city. From the bar and restaurant clad port you have the large town square – St Stephen’s Square – with marbled stones and just a quick walk pass the square you will find the open market with fresh fruits and vegetables and the local speciality cheeses. Island Vis, the beauty of limpid waters and protected submarine world rich with sunken ships and magic marine images that has been hidden for years. Vis is the most westerly of the larger Croatian islands and the oldest established town in Dalmatia, founded in 397 B.C. by the ruler of Sicily, Dionysus – the Latin name for the island is Issa. In World War II, the island was major base for British troops stationed there and there is a British military cemetery on the island. After 1945, Vis was closed to tourism by the Yugoslav army and only reopened when Croatia declared its independence in 1990. Some of the most exclusive wines in Croatia are produced there, such as Plavac and Vugava. From Split, Croatia’s second largest city, you can reach the island of Vis by boat in 2 hours and a half. From there, it will be a magical sailing experience through and through. Book a sailing yacht and you can practically sail through the many natural wonders of Vis. Fancy watching a light show courtesy of Mother Nature? Take a yacht tender into the Blue Cave of Bisevo, one of Vis’ most popular landmark, and you will be surrounded by radiant blue light. This is created by the water that glows electric blue when the sun shines through the cave. Make sure to visit it just before midday so as not to miss out on the show. 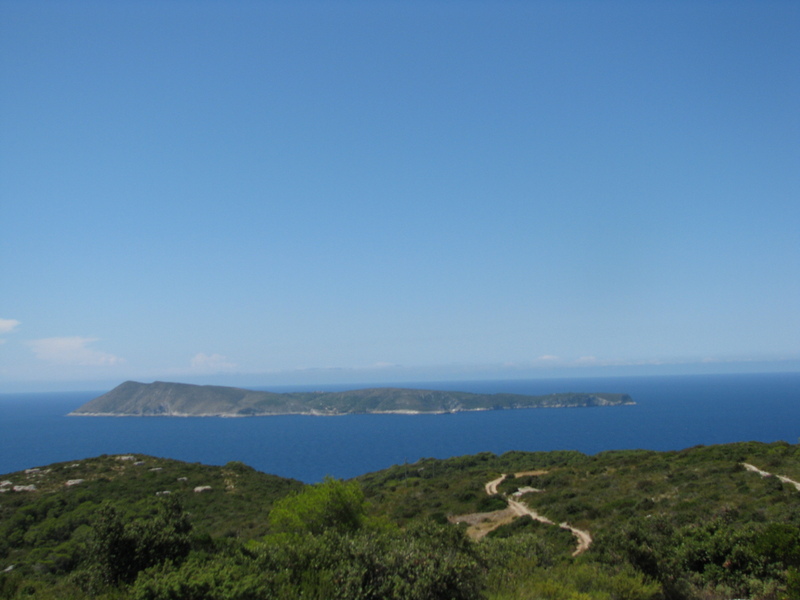 From there, your sailing charter in croatia can explore the rugged coastline of Vis. Providing shelter from the troublesome waves of the KOMIŽA Bay, this port sits behind the high breakwater that was reconstructed in 1996. The concrete reinforcement prevented moorings on its peak but there are designated areas for different boats. Fishing boats and larger vessels have a reserved spot at the first thirty meters. Navigation experts have the hundred meters on as their playground. During the summer time, the available moorings are easily filled. The sea traffic is also denser than the road traffic in town. And because catching a mooring may be even more difficult when the strong south-westerly or southerly winds blow, it is recommended that you hire a yacht charter to Vis during the least crowded time. Anchor at the lagoon on Budihovac and enjoy an idyllic overnight stay. 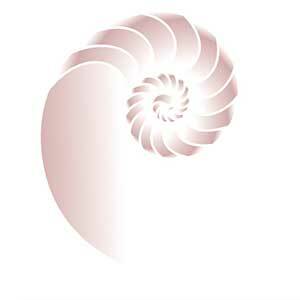 Before you get to indulge in this experience, however, you need to navigate through many areas of shallow waters. It is best to hire sailing boat with a crew to take care of you. 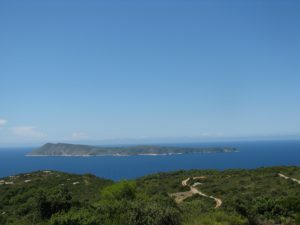 Southwest of Vis is the island Bisevo, of an area of 6 square kilometers. There are many caves in ‘chiseled’ into the steep coasts, among which ‘Modra Spilja’ stands out with an above-sea level and below-sea level entrance. When the sea is calm the light rays that shine in the cave break in such a way against the cave walls that the objects and people inside it are covered in blue and those in the water a silvery colour. Porat, as it is locally called, is a bay on the islet of Biševo. During good weather conditions, yacht charters can drop anchor and stay overnight. The sandy bay is open to the south-western wind, making it the perfect spot for some relaxation. When the landward breeze blows, however, you will get quite a rough treatment. But that’s about it. Other winds can barely penetrate the well-protected bay. The sea at Porat is shallow and yachts should anchor 40m away from the shore. When sailing during the high season, choose a strategic spot to drop anchor–at the center of the Vis aquatorium. This way, you won’t have to move to another area once all the boats carrying excursionists go back to Vis or Komiža. With just enough space to accommodate well-anchored ten boats, your sailing yacht should be at the bay before the rest comes in. Bisevo is home to the Blue cave or Modra špilja, named after the electric blue color of the water in the cave when the sunlight illuminates the cave. The best time to visit is between 9am and 1pm, depending on the season. Only small boats can enter the cave, including a yacht tender. If you want to catch another light display of the Blue Cave, you have the option to anchor at the pier in Mezuporto between 4pm and 8am the next day. You’ll have to leave the berth at 8 as it will be reserved for excursion tours until 4 in the afternoon. Take note that you will be sharing the sea around Mezuporto with local residents’ fishing boats. So caution and attention is needed when throwing anchor. To be safe, hire a crewed sailing yacht in croatia when visiting Bisevo and Mezuporto. Take advantage of the crew’s local knowledge for a fun and problem-free sailing adventure in Croatia. Korcula’s contains many monuments dating from its days under Venetian rule. It was the home of famed traveler Marco Polo. His house may be visited – though little remains but his garden and a staircase to the tower from which he is presumed to have gazed out on the world and deemed it a place to explore. An interesting feature in Korcula’s is the manner in which its streets were re-built in the thirteenth century. Most of the lanes run west to east in order to block out the northeastern Bora, a cold and powerful wind that at times stirs up the Adriatic while allowing the gentle Mistral breezes from another direction to air-condition the town. On the island of Korcula’s (pronounced “kor-chew-la”), exploration is more than a pastime, its heritage. For tourists wanting to follow Polo’s footsteps closer to home, the explorer’s birthplace is near the almost 700-year-old Saint Peter’s Church, another popular sightseeing destination. Shipbuilding and stonecutting played vital roles in Korcula’s economy for centuries. Pine forests provided the raw materials for ships, and ships provided transportation for Korcula’s stone, which was once well known throughout Europe and used in many palaces. Korcula’s heritage comes alive in a traditional dance that has been performed for more than four centuries. The Moreska sword dance depicts the battle of two kings and their armies for the love of a beautiful girl. Mljet is situated only 17 miles from Korcula’s. It is a green paradise, unique in the Mediterranean because of its environment. As a consequence of the rising sea level, two beautiful salt lakes were created on the island: Veliko and Malo Jezero, which are surrounded by luxuriant pine and oak woods. Because of its extraordinary beauty, this part of the island was proclaimed a national park in 1960. The nearest port of entry to Mljet is Dubrovnik, and one that you can use all year round. The island has 8 principal berthing options, starting at the main harbor of Polace at Mljet’s NW end, followed by Polace, Pomena, Okuklje, Sobra, and Kozarica, all of which are arranged counter-clockwise. Towards the East end of the island is where you’ll find the main anchorages, each one offering something different for anyone on a sailing charter in croatia. The bay of U. Saplunara boasts of a sandy beach and a well-forested area. Yachts can anchor at the bay’s north end in 5-6m. The area is well-protected from the wind, except from the southerly and south-westerly winds. Veli Skolj, on the other hand, is at Mljet’s easternmost end. It sits between the islets of Veli Skolj and Mali Skolj, making it reasonably sheltered in settled weather. Troubles only arise with anything easterly in the wind. Drop anchor in the channel at 4-7m. Found at the northern coast of the island, the bay of U. Prozura is less than a mile away from the harbor of Okuklje and is partly sheltered by the islets of Planjak and Borovac from the north. Aboard a sailing boat, the safest approach is on the west side of Planjak. It is best to avoid the east side because of the dangerous shoals. At the bay of U. Prozura, there are smaller quays for moorings, complete with marked buoys. For the uninitiated, however, dropping anchor could pose a problem. Strong north winds can cause a swell as well. On that note, book one of the Croatia charter yachts that will take you to Mljet and its islands of Lastovo, Korcula, and Sipan. With a local professional crew onboard, sailing would be smooth and easy. Jewel of the Dalmatian coast, girded in 9th century walls that rise cheerily from the water’s edge, Dubrovnik is one of the best-preserved medieval towns in Europe and miraculously escaped serious damage in the recent war. Within the ancient fortifications is a labyrinth of alleyways and a striking Renaissance boulevard called the ‘Stradun.’ Dubrovnik is not only beautiful, it is an architectural marvel. This medieval walled city is over 1,000 years old and virtually untouched by the modern world. 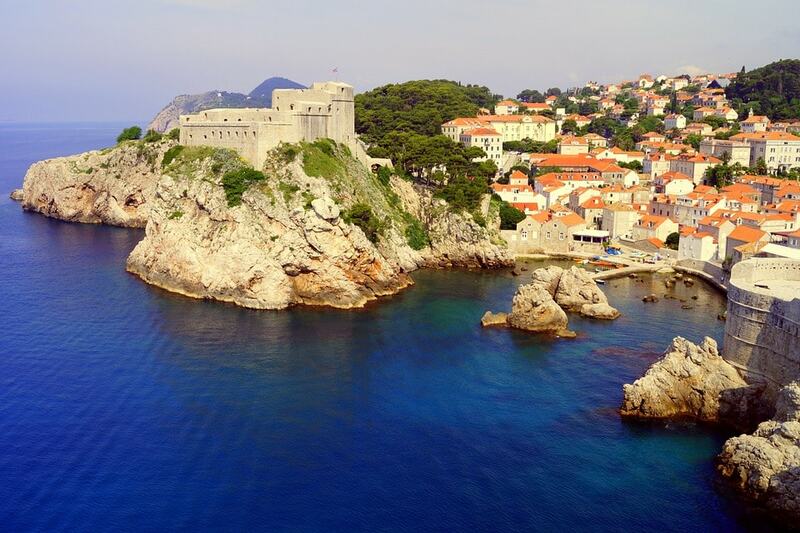 Dubrovnik has been listed as a city-monument on the UNESCO cultural heritage register. Particular sights of interest include the oldest pharmacy in Europe, located in the Friars Minor monastery (1317). A Croatian yacht charter is incomplete without sailing to the most renowned tourist site Dubrovnik. How far and how long you sail, whether a half a day, a full day, or 3 days, will depend on the places you want to visit and explore. A half day tour will take you to 1 or 2 islands of your choice, especially if you hire a sailing boat for your private use. Explore every destination at your leisure. A full day will give you enough time to visit 3 islands, hopping from Kolocep to other Elafiti Islands. A local crew will know just how to time your trip right to ensure you get the most out of every place you visit. What is even better is that if you feel the need to be more hands-on while yachting in Croatia, the crew will show you the ropes. How about that 3-day, 2-night yacht charter? Depending on your itinerary, your trip will start from Split and ends in Dubrovnik and passing by the mainland town of Makarska and the Mljet National Park. 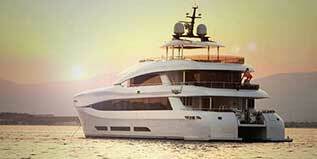 Of course, with a Croatia yacht charter, you can customize your trip accordingly. So if you want to visit Brac, Hvar, or Korcula instead, it can be arranged. Dubrovnik has the ACI-operated Marina Dubrovnik that is located south of the river inlet of Rijeka Dubrovacka. Yachts measuring up to 75m in depth and up to 5m can take a spot at any of the marina’s 425 berths. Foreign yachts must first check in at the Gruz commercial harbor before berthing. When clearing in, however, yachts must berth at the customs quay. South of the customs quay, there are berths with laid moorings. They offer a great berthing spot because of their proximity to the old town. But due to passing traffic, mooring in this area is the least comfortable. Sail along the Croatian Adriatic Coastline, hop from one of the 140 uninhabited islands of the Kornati archipelago, discover The Krka National Park if you follow the waterways northeast of Sibenik, and enjoy so much more with a Croatia yacht charter. Use this form for the ultimate Croatia yacht charter itinerary where you get to call the shots and choose where to go to at your most convenient. Stay onboard and it will be just as exciting. Sailing there is half the fun, after all. The islands of Croatia have plenty to offer, but make time to visit the city of Hvar, the island Vis, and the green paradise of Mijet. Each place serves up something unique. May we suggest a yacht charter where you pick-up your yacht in Croatia and cruise the superb archipelago before entering Montenegro and finish the charter in Kotor.